Gonzaga has essentially adhered to a tournament rotation schedule recently, often visiting the top holiday basketball events once every four years. That rotation will continue in the 2019-20 season, with the Zags venturing to the 2019 Battle 4 Atlantis in the Bahamas. The eight-team field will consist of Gonzaga, North Carolina, Oregon, Michigan, Alabama, Iowa State, Seton Hall and Southern Mississippi, according to CBSsports.com’s Jon Rothstein. The Zags are scheduled to host North Carolina at the McCarthey Athletic Center in 2019-20 after visiting UNC this December. Atlantis organizers will probably place Gonzaga and North Carolina on opposite sides of the bracket to avoid a meeting in the first or second round. 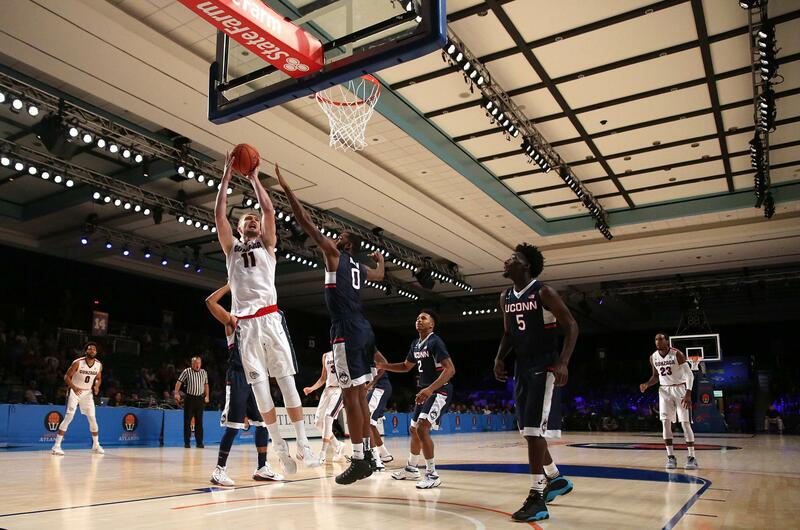 Gonzaga participated in the 2015 Battle 4 Atlantis, which debuted in 2011 and has joined the Maui Invitational and Orlando’s AdvoCare Invitational as prominent Thanksgiving week tournaments. The Zags went 2-1 in 2015, thumping Washington, falling to Texas A&M and edging Connecticut. The Zags play in Maui this November, a five-year gap from their 2013 appearance because they played in the PK80 in Portland last season. GU was in Maui in 2009 and 2005. At the AdvoCare Invitational, Gonzaga has gone 9-0, earning tournament titles in 2008, 2012 and 2016. Gonzaga’s 2019-20 schedule includes road dates against Texas A&M, Washington and Arizona. The GU-UW game will be the last of a four-game series and GU-Texas A&M will be the last of a two-game set. The GU-Arizona return game will be at the McCarthey Athletic Center in the 2020-21 season. Published: Aug. 30, 2018, 12:53 p.m. Updated: Aug. 30, 2018, 6:14 p.m.